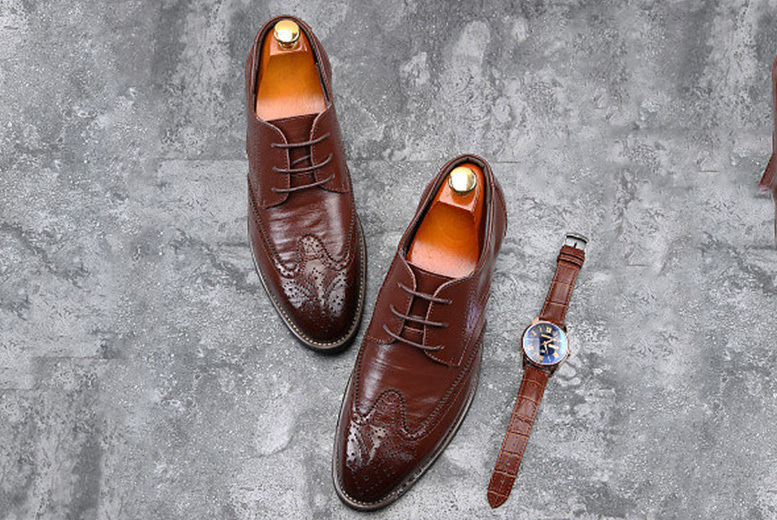 Get a pair of men’s leather brogues! Choice of four colours (see below). As well as UK sizes 8-12. With leather uppers featuring classic detailing. Go casual and wear with jeans, or polish them up with tailored trousers. The perfect footwear for a dapper guy!